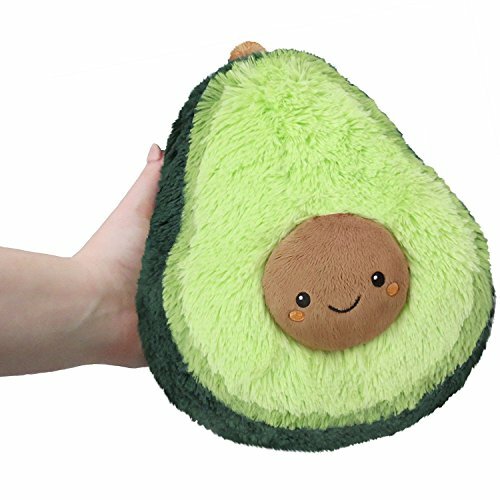 Squishable / Mini Comfort Food Avocado Plush 7"
Is this Avocado a superfood? Well, on one hand it doesn't have the amino-monosaturated-riboflavoricious properties of an Avocado you might pick from a tree. You can't smear it all over your face to improve collagen production. But so what? What this little cousin to the big Comfort Food Avocado lacks in organic chemistry, it makes up in longevity! This Avocado will never turn brown! It will always remain at the perfect level of softness no matter how long you leave it out on the counter! You can rest assured that while your roommate may snag it for some snuggles, he will not smoosh it up into guacamole! Probably! View More In Stuffed Animals & Plush Toys. If you have any questions about this product by Squishable, contact us by completing and submitting the form below. If you are looking for a specif part number, please include it with your message. Aurora World Flopsie Toto Dog 12"
TY Licensed Beanie - Everest, Perfect Plush! © 2019 - gibouttoys.com. All Rights Reserved.